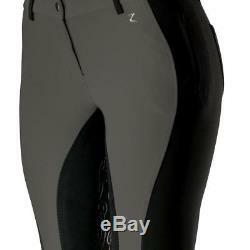 Horze Kiana Water and Dust Repellent Women's Full Seat Riding Breeches. 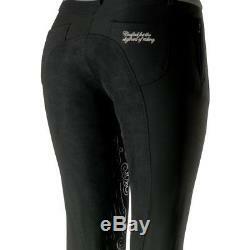 The Kiana breeches have a swirled design that creates a stylish look. 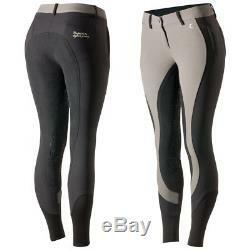 The stretchable fabric and elastic leg bottoms add comfort. 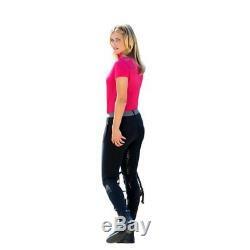 These medium/low-waisted breeches in subtle elegant colors are a sophisticated and practical addition to your wardrobe. The Horze Crescendo logo on the rear and front badge add a finishing detail. Be the first to receive exclusive offers and promotions. 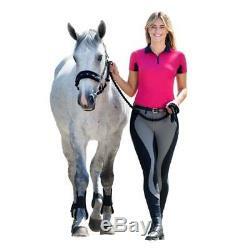 The item "Horze Kiana Water and Dust Repellent Women's Full Seat Riding Breeches" is in sale since Tuesday, December 5, 2017.